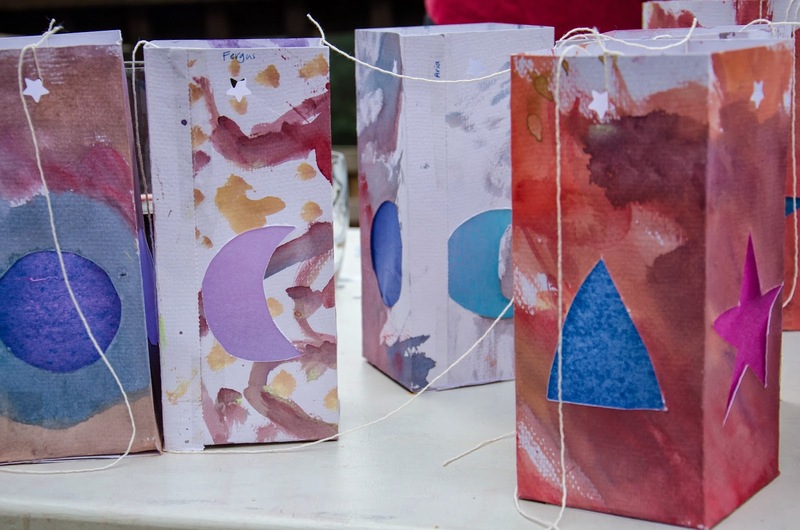 A (mostly) visual tutorial on how to make these Waldorfy paper lanterns. 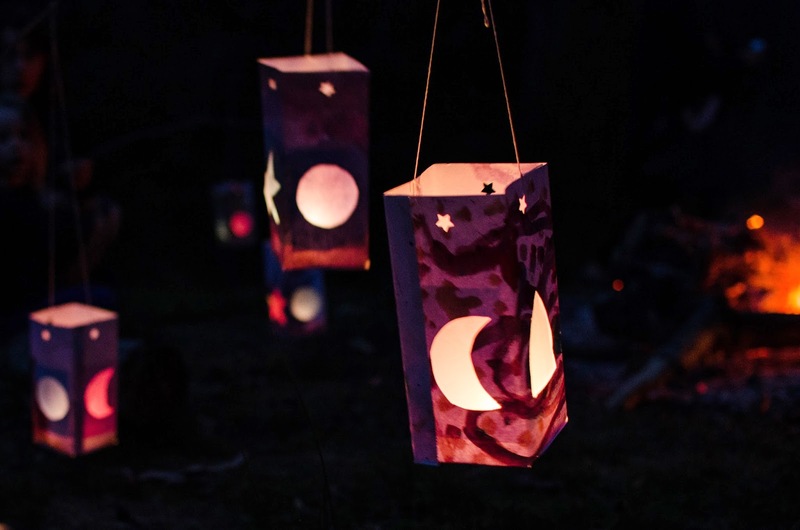 The are quick and easy to make and look magical, perfect for a Lantern Festival, Martinmas, or Winter Solstice celebration. 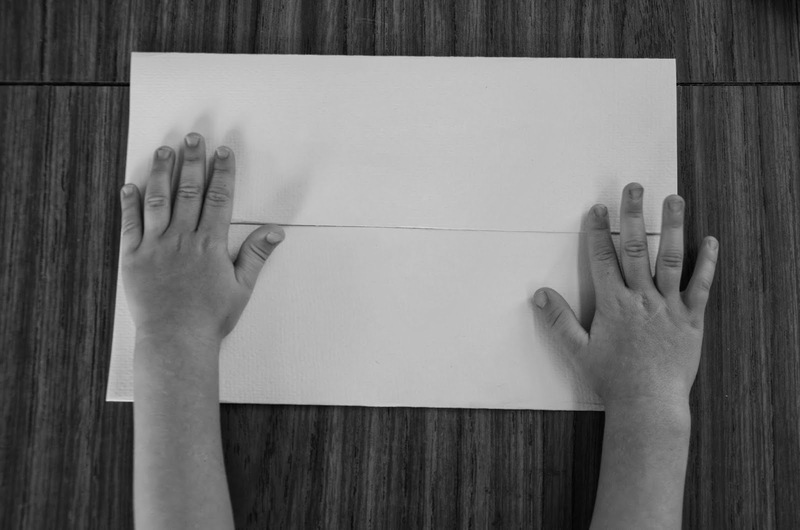 Take a large piece of paper. 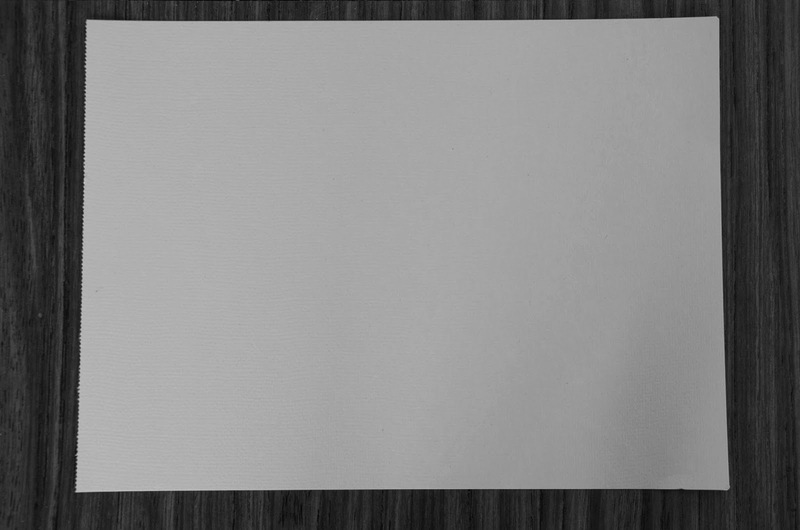 I use a standard large watercolour pad. 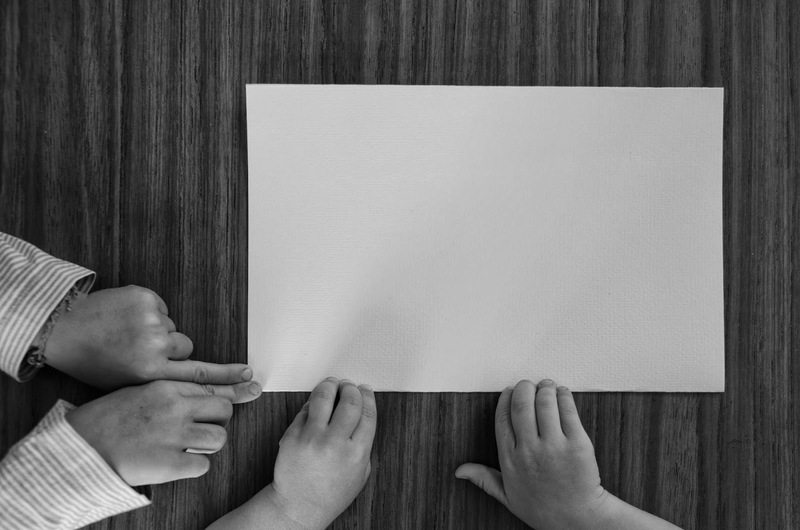 Have the children paint one side of the paper with watercolours, covering as much of the white as possible. 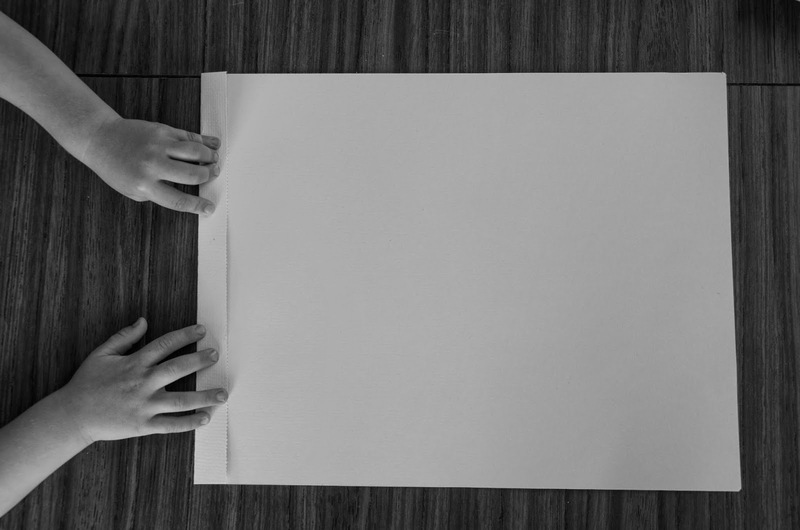 For this tutorial I have left the paper blank. 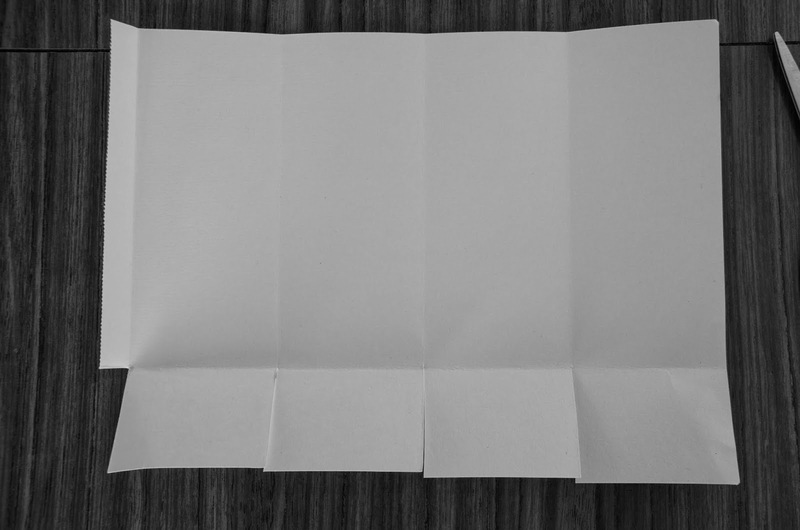 Keeping the ’small fold' you made in Step 2., fold the whole piece of paper in half, short ends together. 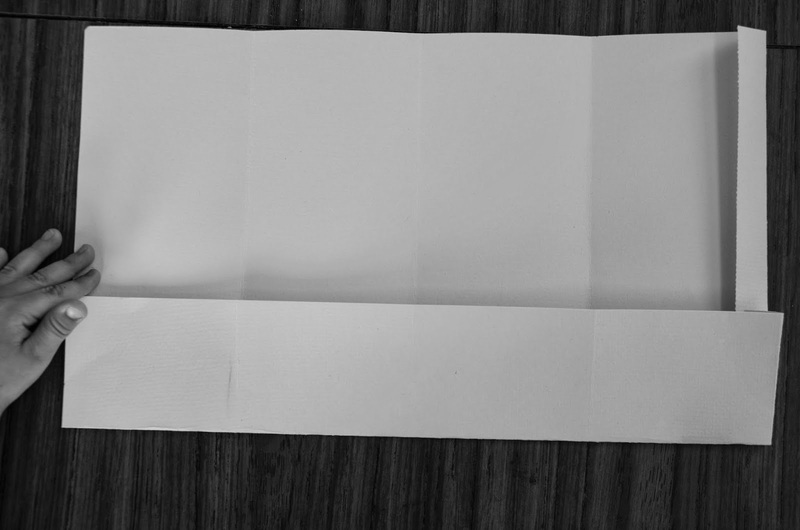 Open the paper back out, and then fold short ends again, this time to meet the centre fold in the middle. 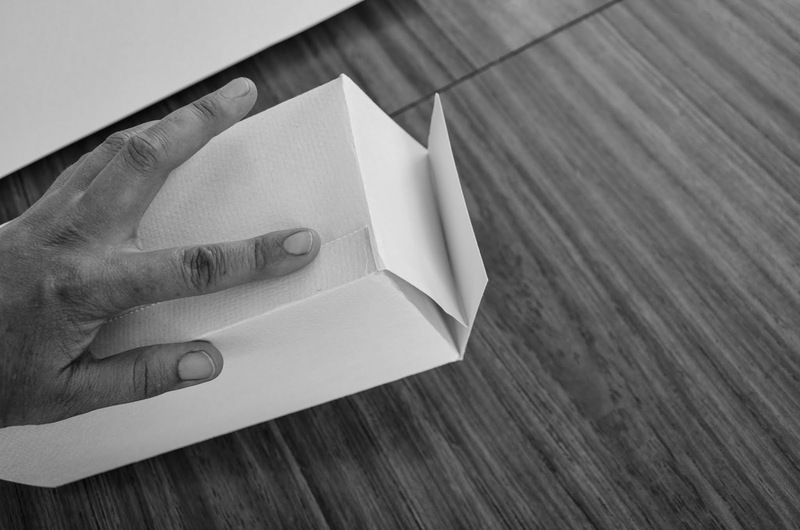 Open paper out and fold along the long edge, roughly about 8cm from the bottom. I don’t measure lengths, but as long as it is <10 cm, it’ll be fine. 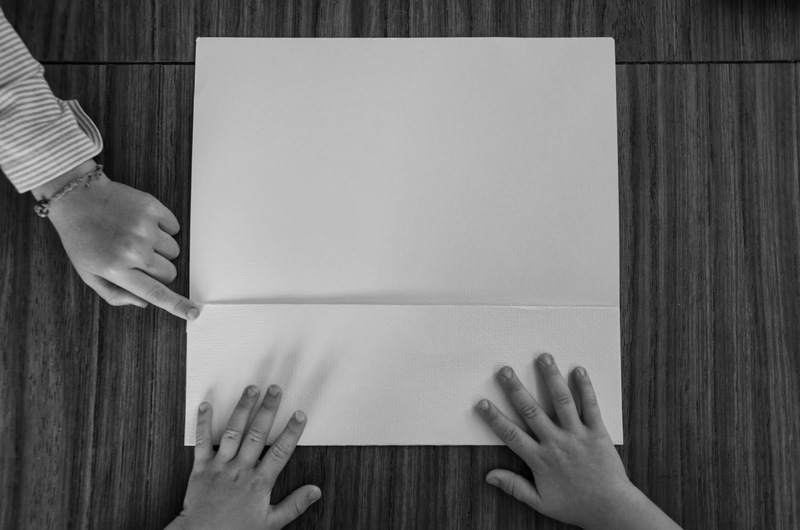 Make a fringe by cutting up the 4 fold creases from the bottom of the paper to the (approx.) 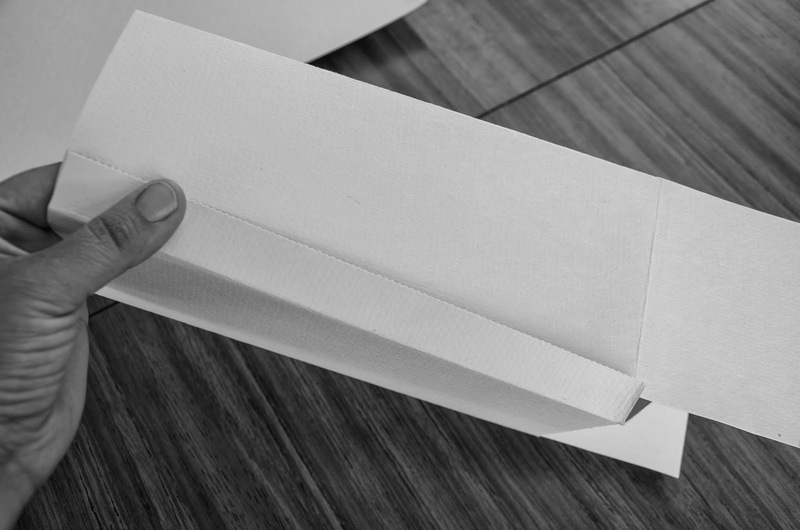 8cm fold you made in Step 6. Then cut out the extra little bottom corner bit as shown in the picture (on the bottom left). I forgot to take a photo of this stage, but it’s simple enough. Using a stanley knife/scalpel with a suitable surface underneath, cut 4 largish windows on the 4 sides of the lantern. I make a full moon, a cresent moon, a star and a arched window. I trace around a round lid and a star cookie cutter and freehand draw the other shapes. Tape different coloured squares of tissue paper over the windows for the light to shine through. Put the lantern together as shown and tape/staple at the top and down the sides. 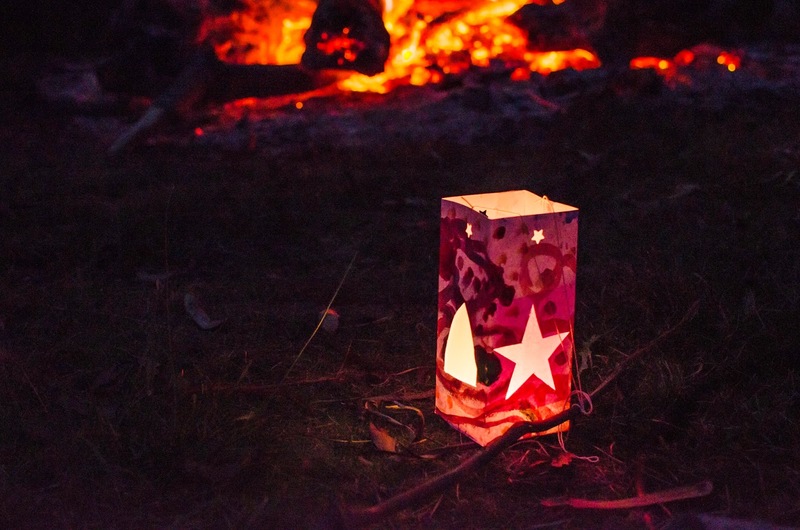 Fold the base in and tape/glue BOTH on the outside and on the inside of the lantern. 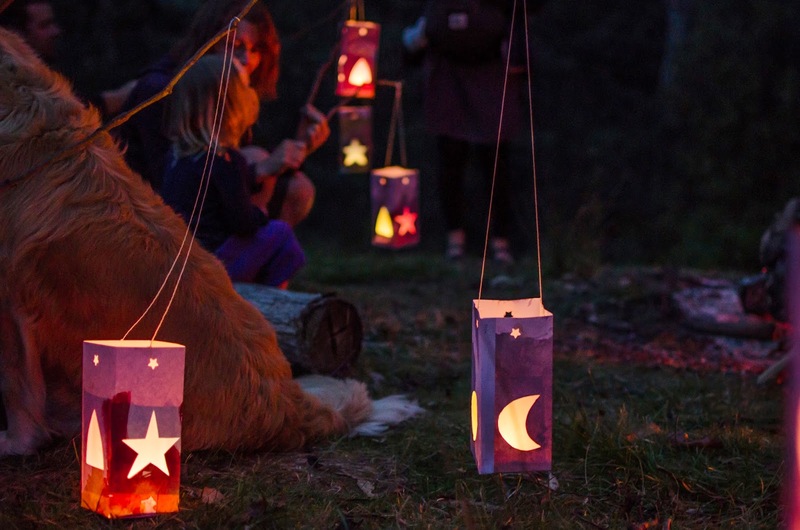 At the top of your lantern, use a hole punch or needle to tie string from opposite sides of your lantern, and then tie the lantern onto the end a child sized stick, kind of like a fishing pole.